​don't forget who made it! 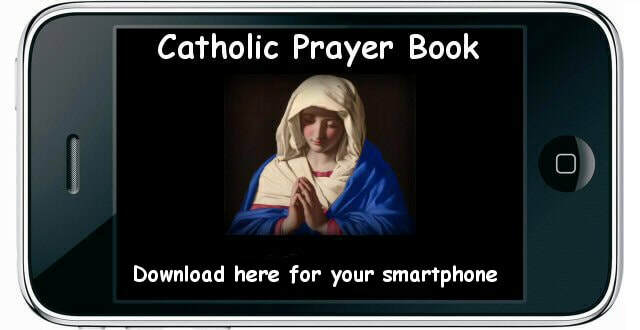 ​This Catholic Prayer Book includes over 50 prayers for daily or devotional needs. It can replace or compliment your hard copy pamphlets (Pieta Prayer Book, Prayer Cards, etc.). It is free and text and images were sized to accommodate use on a smart phone. The Prayer Book is in PDF Read software and can be downloaded. Use the prayers you find appropriate. This is occasionally updated based on suggestions, research, etc. APRIL 28 BREAKFAST 2019 - Please join us for our breakfast buffet! Why you should become a Knight? Paul King and Ashley Savage, office manager, Sussex Family YMCA.